Sleep Number Bed For Snoring - Does It Actually Work? Is there anything better than waking up next to your loved one? Curling up together is considered to be an essential factor in preserving a healthy and loving relationship – those who sleep together, stay together! However, bonding aside, sharing a bed can often be a logistical nightmare that demands a synchronicity of sleeping habits that some couples simply cannot manage. Maybe you want to watch TV, and they don’t. Maybe you like to catch up on your reading, whereas they’d rather get straight down to sleeping. Perhaps you prefer different bedtimes, sleeping positions or mattress firmness. And (the biggie) what if they snore?? As psychologically beneficial as bed sharing may be, there’s no doubt that sleeping in the same bed as someone else often negatively impacts our quality of sleep. Furthermore, some studies based on interview data suggest that sleep problems such as insomnia and snoring contribute to marital problems. The majority of people simply learn to live with the inconveniences of having a bed-buddy for the sake of preserving the intimacy in their relationship – but what if you could wake up next to your loved one having had a decent night’s rest? The revolutionary beds allow you to luxuriate in personal comfort without banishing anyone to the spare room. With an adjustable base, it’s possible for both bedfellows to achieve the perfect sleeping conditions without compromising one another’s comfort, and can even make it possible to put an end to your partner’s snoring. The Partner Snore technology allows you to raise and lower your partner’s head with a touch of a button. Mattress Firmness: This is a very personal preference that even the most compatible of lovers can fail to agree on. With DualAir technology, the bed makes it possible to find your ideal level of firmness, allowing optimal comfort and support based on your individual needs. 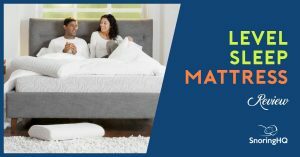 As this feature is adjustable on separate sides of the mattress, you can find your perfect firmness without leaving your partner tossing and turning. Position: The bed allows for position alteration on both sides of the mattress. If one of you wants to sit up and read while the other is ready for some shut-eye, you can achieve both without inconveniencing one another, allowing you to cohabit in perfect harmony. Temperature: We all prefer different temperatures when we sleep. While some people seem always to be running on high heat, there are others among us who simply cannot get warm. This can lead to the bane of all bedfellows – cover hogging. With a DualTemp layer, the Sleep Number bed allows you to heat or cool each side of the bed individually, so you can both sleep just the way you like. The In Balance bedding is cleverly designed to absorb excess heat and slowly release it as your body naturally cools, allowing for a comfortable temperature throughout the night. Snoring: A whopping 59% of people say their partner snores. If you happen to be a light sleeper, or if your partner is hitting decibels that wouldn’t be out of place at a rock concert, this can be a serious issue for couples and can hinder a good night’s rest like nothing else. With exclusive Partner Snore technology, the bed can put an end to the problem once and for all. With FlexFit 2 and FlexFit 3 adjustable bed bases, you can gently raise your partner’s head with the touch of a button. This can open the airways, allowing them to breathe more easily (and quietly!) and allowing you to drift off undisturbed. SleepIQ: With SleepIQ technology, the personal comfort bed is revolutionizing rest. By tracking how well you sleep each night and taking into consideration your daily routine and habits via your favorite health and wellness apps, SleepIQ technology provides insight into how life affects your sleep quality. SleepIQ can help you determine what factors of your daily routine are impacting on your sleep cycle and provides insight into the best way to optimize your lifestyle for a better rest at night. Does Adjustability Work for Snoring? The short answer is yes. Similiar to anti-snoring smart pillows, raising the head is to reset the breathing patterns. Right now, do you give your partner the elbow or or turn them over to stop their snoring? The Sleep Number stop snoring theory is the same. One anti-snoring smart pillow that raises and lowers the head, called the Nitetronic, saw a reduction in snoring in 100% of snorers. The Sleep Number Partner Snore technology is the same concept. However, you must wake up first and push a button. How many times will you need to do this during the night? Once you raise your partner up, it may be two hours before they start snoring again, or it may be ten minutes, in which case you will need to wake up again, and push the button again. Most likely, you will have to raise you partner up, then lower you partner back down. This is to change their head position completely. As a buyer of the Sleep Number bed, you must decide if the price justifies the limited snoring help that the bed will provide. If must wake up every time they start snoring what is the difference? 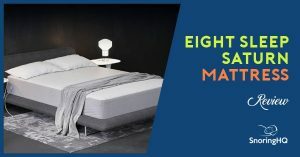 However, by allowing individuals to alter the firmness, positioning, and temperature on each separate side of the mattress, the Sleep Number bed makes it possible to optimize sleeping conditions on an individual basis. Clinically proven to alleviate back pain and improve sleep quality, the revolutionary technology implemented in every aspect of this bed has demonstrable benefits for everyone, no matter what your preferences. When asked, a massive 89% of subjects report a better-quality sleep, and 93% reported back pain relief when using the Sleep Number bed. Given that we spend a third of our lives sleeping, it makes sense to invest in a bed that allows us to get the very best out of that time. For light sleepers, the nocturnal movements and noises of our loved ones can have a significantly negative impact on our quality of sleep. Back pain is a common malady among adults and often comes due to sleeping in positions or on mattresses that are uncomfortable and unsuitable for our unique requirements. With the Sleep Number bed, it is finally possible to customize our bedtime conditions without inconveniencing anyone else, allowing us to sleep both comfortably and harmoniously. The health benefits of high-quality sleep are significant and wide-reaching, with the positive effects of a decent slumber improving our lives in several different ways. Achieving a restful and restorative sleep each night can boost mood, bolster health, improve memory and increase our performance at work. Healthy sleeping patterns can increase life span, heighten metabolism, and even make us more attractive! Most importantly, good sleep can improve our relationships with others – a well-rested person is a happy person, after all. People often sacrifice the perfect sleeping conditions for the sake of snuggling up with their partners, but with the Sleep Number bed, it is possible to tailor bedtime to suit your individual preferences while maintaining a close and intimate relationship. So why wait? Invest in health, harmony, and happiness and make your side of the bed your personal sanctuary! 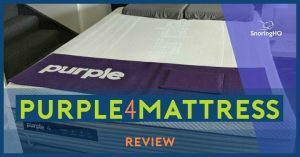 I’ve also reviewed a Sleep Number Pillow, and found it to be one of the most luxurious pillows on the market. If you think you need more than a bed to help with your sleep and snoring, perhaps getting tested for Sleep Apnea is advisable. You can also take a look at the various anti-snoring devices available. I’ve tested all of them!